Range Management Field Specialist Sean Kelly knew follow up was missing from the South Dakota Grassland Coalition’s annual grazing school in Chamberlain, South Dakota. “The follow up consultation has been something that’s been talked about for a lot of years; it’s been a challenge bringing together people from the university extension service, NRCS, ranchers, and private ranch consultants,” says Kelly. 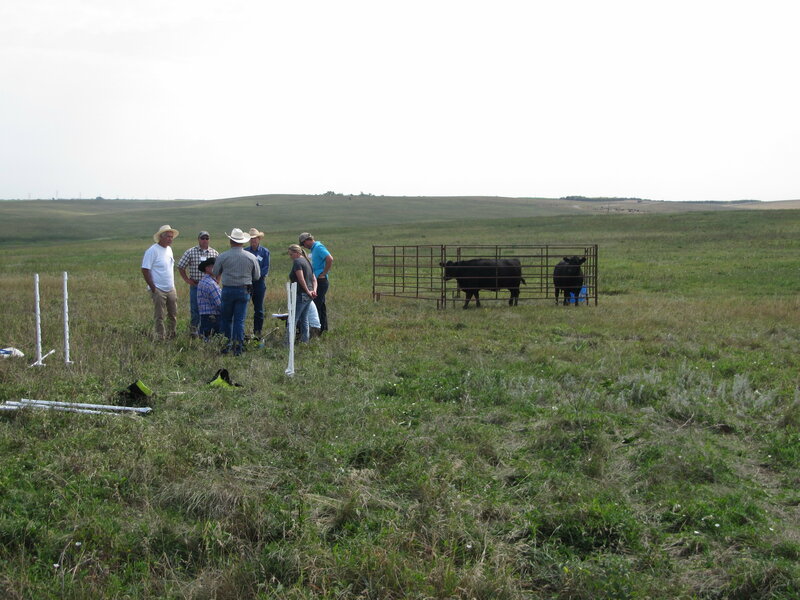 The South Dakota Grazing School teaches the “A to Z on grazing management, including the basics of doing a pasture inventory, plant identification, calculating stocking rates, and hands-on pasture work,” according to Kelly. The grazing school started in 2003, and demand for the program has grown significantly in the fifteen years since it began. 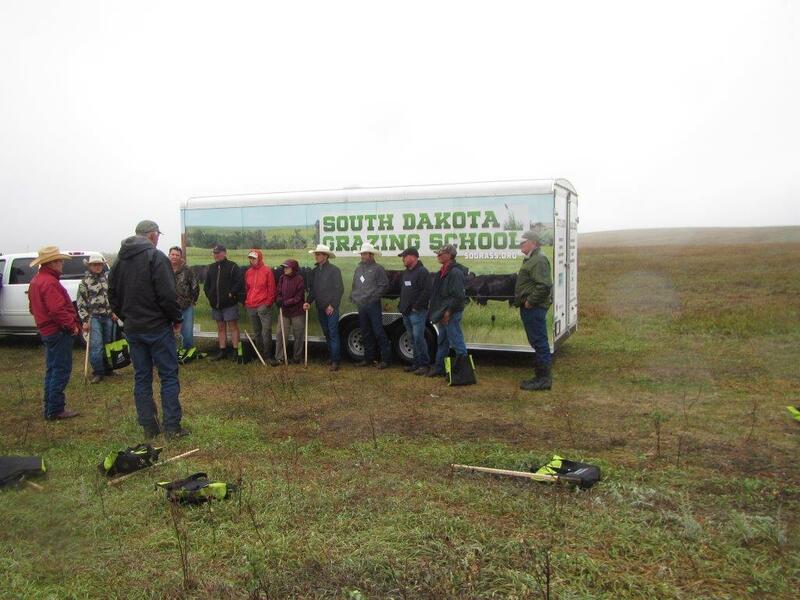 Because of increased demand the South Dakota Grassland Coalition has hosted two back-to-back sessions some years and has a waitlist beyond the thirty students the school can accommodate at a time. Two-thirds of the students are ranchers, while the rest are personnel from government agencies and nonprofits, typically from the U.S. Fish and Wildlife Service; South Dakota Game, Fish, and Parks; NRCS; and The Nature Conservancy. The grazing school combines both classroom and field training, and keeps six different kinds of cattle. Field training includes teaching students to design a grazing plan based on their management goals. Students calculate stocking rates for the grazing school’s animals using a grazing stick or grass clippings, and then come back after a day of grazing to measure forage utilization. The South Dakota Grazing School was created to close the gap between new research findings and producers’ current practices. The grazing school is well-positioned for practical training since its sponsors include both South Dakota State University and the U.S. Department of Agriculture’s Natural Resources Conservation Service. Teaching topics change year to year based on student feedback and new industry developments. The school recently started using PastureMap because they “noticed that a lot of students in our grazing school are the younger generation. We realized we needed to get up to speed on the new technology, especially getting maps and inventory records,” says Kelly. The school’s new follow up consultation program helps grazing school alumni apply what they learned to their own operations. Eight ranches are part of the first consultation program, getting one-on-one visits from the program’s six consultants who are ranchers or specialists themselves. “PastureMap is the first step of the consultation process. The grazing consultants help program grads develop everything in one spot—natural resources, customers, finance, and production. We’ve been looking for a tool that will help ranchers apply what they learned at the school. Accessing PastureMap on an iPhone and having access to your records in the field, that’s huge,” says Kelly. For more information on the South Dakota Grazing School, visit their website at www.sdgrass.org.